With rock-solid money-back and uptime guarantees, an extensive list of features, and affordable prices, you can’t go wrong by trying out Web hosting UK as your UK-based hosting provider. Whether you’re an individual, an aspiring e-commerce entrepreneur, or someone in need of dedicated hosting, they’ve got something that will suit your budget and needs. 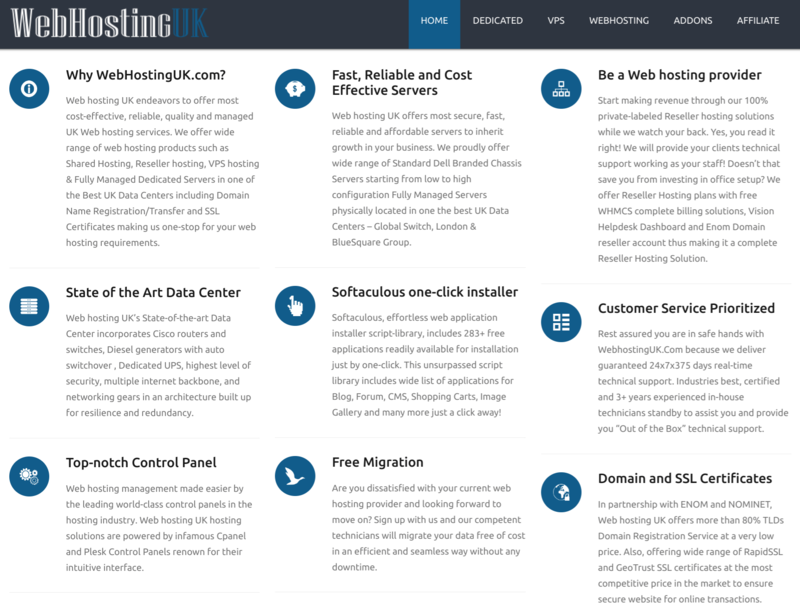 Web hosting UK was founded in 2012. Its servers are co-located in a U.K. data center, and its website and support are both provided in English. In short, it’s a thoroughly British business. Experts will be pleased with the range of software and database features provided, including MySQL, PostgreSQL, phpMyAdmin, and unlimited FTP accounts. There’s software development support for PHP (only version 5), Perl, SSI, and Ruby on Rails. There are also Cron jobs and (on request) jailed SSH access. For ease of use, there is the Softaculous installer with more than 280 scripts for popular programs including WordPress, Forum, Joomla!, Magento, and Drupal. All plans also provide RVsitebuilder with the RVskin add-on, and – if you need assistance – Web hosting UK will migrate your website from your previous host. Considering these comprehensive and well-thought-out inclusions, it’s surprising that Web hosting UK doesn’t say some more about its data center that is described as “one of the leading U.K. data centers.” What I do know is that all shared plans are hosted on Dual Quad Core RAID array servers with a minimum of 12GB RAM. The good (but not great) 99.9% uptime guarantee is detailed in the company’s terms. Web hosting UK’s prices are not the cheapest on the market but are good value for the good uptime guarantee, features, and resource allocations. You can choose a contract length ranging from one month to three years, with a decent discount for purchasing a longer term up front. There’s even a 30-day money-back guarantee to get you out of trouble if it all goes wrong at the start. As well as having to purchase a domain name, the checkout flow includes other optional add-ons such as a dedicated IP, Geotrust AntiMalware, GeoTrust SSL Certificate, and Geotrust AntiMalware With Seal. So, the costs can start to add up as you add more optional features. 24/7 customer service can be accessed by email (to various departments), telephone, ticket, and live chat. There’s also a minuscule knowledge base that is not much use at all. 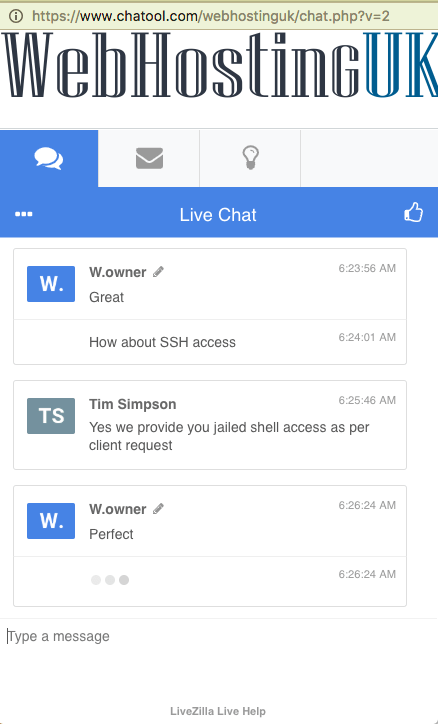 When I tried to initiate a live chat early on a Monday morning, the operator picked up straight away, was polite and helpful, and correctly answered my questions. Web hosting UK uses robust branded hardware such as Cisco, Dell, and Lenovo. Ideally, I’d like to know more about the data center specifications, but the customer service is second-to-none, and there is a solid uptime guarantee.